Some of you will think this week’s reflection on our recent reunion is strange, and I suppose it might be, but read on. I will start out with a little story about my daughter’s recent reunion to set the stage. The week after our reunion, Tiffany flew back to Memphis from California for the 20th reunion of her high school graduation class. Although she graduated with over 300 classmates, only 45 of them bothered to attend the get together. At least two of her close friends did not attend for the same reason – they feared the person they had married straight out of school and subsequently divorced might show up. Rather than being able to potentially enjoy the fellowship of their other friends, the thought of being near an “ex” was such a threat to their happiness, they passed up on the opportunity. I have also heard of some of our own classmates who will not attend our reunions because they are trying to avoid old girlfriends or boyfriends as well. That is a shame. Life is too short for that. I was not around when Don Stroud and Sally Dawley graduated, since they were both members of the Class of 1965 and I moved away from Huntsville the day after I graduated in 1964. Even though I was aware of both of them during our days together at Lee, neither Don nor Sally were my close friends back then so I did not keep up with them after graduation. I do not know when they were married, how long they stayed married, or why they elected to terminate the marriage. None of those facts are significant to the point I am trying to make in this story. I consider both of them friends today. Since I moved back to Memphis I have had the pleasure to have been visited by both of them at one time or another. Don emailed me one day saying he was coming to Memphis and met me at the University and we had a great time talking about both high school and Air Force days. He has told me several times how much his mother loves the Traveller and how he prints it out every Sunday to take a copy to her at church. Several years ago Sally and Michael entertained Sue and me when we made a trip to Charleston while on one of our annual trips to Hilton Head Island. Last year they came through Memphis on one leg of their summer adventure and we spent the day touring Memphis and enjoying the local BBQ. During none of the visits with either Don or Sally did I ever hear any disparaging remarks or comments from either about their ex. To me this was not strange, since both Sue and I have ex-spouses which we still get along with and do not try to avoid events we all wish to attend. I was not surprised to see them talking and even standing together for photos at various times. I think it is great they can do so. So my hat goes off to Don and Sally for being mature enough to accept the idea that changes happen in their lives and they have learned to live with those changes. My hat also goes off to Michael and Mary for not being threatened by past events so much they cannot be comfortable or feel threatened by the ex-spouses of their current partners. I wish more of our classmates could have the same attitude. Memphis, TN - I know we have several classmates living in South Carolina and I wish those of you who live there would email me with an account of what you have been going through this last week. Our prayers are with you. Still working on reunion stories and enjoying the memories. I hear from Niles the production on the video is going good and he will let us know when it becomes available. for the 2015 reunion committee. Go to 1:10 on this video for the answer to last week's trivia question. To answer last week's trivia question: When Zelda wrinkled her nose at Dobie, I think his response was: "Now cut that out!" I would have guessed that the first TV show to feature teenagers might have been "Gidget" starring a young Sally Field; but that probably came out later, following the successful teenage beach and surfing film of the same title. I think Sandra Dee played Gidget in the film. One of Dobie's many loves was Thalia Menninger, played by the hottie young starlet Tuesday Weld; the show may have been the peak of her career, as I don't recall seeing her in much of anything in later years, but I could be wrong about that. Conflict (a necessary component of any good book, short story, movie or TV show) was supplied by Dobie's romantic rival, the rich kid Chatsworth Osborne, Jr. and his obnoxious snobby mother, Mrs. Chatsworth Osborne, Sr. The wealthy widow was critical of all men, referring to them as nasty in an upper-crust New England accent, as in: "He was SOOO NAAHSTY!" I think Dobie's father ran a small grocery store, may have been named Joe, and often pointed out to his ambition-impaired son that he was an Army veteran, "WITH a Good Conduct Medal." Dobie's mother may (or may not) have been named Millie (obviously, I did not Google this answer for accuracy). After the TV show was cancelled, Dwayne Hickman appeared in the 1964 or 1965 film "Cat Ballou", a Western comedy starring Jane Fonda and Lee Marvin, which won Lee Marvin an Oscar for Best Actor. Also featured were Stubby Kaye and Nat "King" Cole as a Greek Chorus singing and playing guitar and banjo in the background of several scenes. This was Cole's last film appearance, as he died of lung cancer (a long-time heavy smoker) soon after the film was released. If you have not seen the film, or even if you have, find it on Netflix or anywhere else. 50 years later, it is still a hoot. Another TV show of that era which prominently involved teenagers was "Ozzie & Harriet" which chronicled the Nelson family domestic adventures, including older son David and younger son Ricky. As the show evolved, the real star became Ricky Nelson, who developed into a major teenage-girl heartthrob as a pop singer (really good, with many hit songs before The British Invasion) and sometime actor (really bad, if you have ever seen him in the John Wayne Western ). Tragically, and close to home for us LHS folks, Ricky Nelson was killed on December 321, 1986, when he and his band were on a flight from Guntersville, Ala., where the band had played a concert the night before. It was seen circling the De Kalb, Texas, airport erratically shortly after 5 P.M. and a Texas Department of Public Safety helicopter was sent up to ask if the pilot needed assistance. The helicopter pilot was told there was a fire on board and the cockpit was full of smoke and he was looking for a place to land. As it went down the plane hit a power line and exploded on impact. This week's Trivia Question: What did Ozzie Nelson do for a living? The reunion in my opinion was a success. Cheyenne, my granddaughter, that came with me was pleasantly surprised. She is a sophomore at Lee this year in the theatrical section of the magnet program. She had made a comment about the phrase Fami-Lee and how it ever got started. After the reunion she said " I see now where the term came from because you all truly are a Fami-Lee." She was also very impressed with the Happy Dance. I think she halfway expected bingo or rummy to be the program. As to Tommy's article last week I feel the same about his friendship.I had some tough times during my high school years and having a friend like Tommy helped get me through a lot of them. I knew then we were going to be friends for a long time but never thought it would actually last for 60 years. Friends like Tommy are very rare and very special and I hope each of you are fortunate enough to have one. Thank you, Tommy, for these many years of friendship and hope we have many more. Just want to tell you (thanks) and applaud you again for your diligence and dedication to "getting out the news" for all of us former LHS Generals. As has become usual with me, I anxiously await your newest missive. The ongoing sense of unity among us Generals is always a boost for me and I am sure many others. You keep the fire burning in us all. The world of today is so very different from the one we all shared in the 1960's. It is so thrilling to revisit the friendships and experiences which are shared with lifelong friends and I commend you for helping us all accomplish that in the Traveller. Please keep it coming brother. I certainly have enjoyed the last few editions of the Traveller. I like the direction you are taking with the stories about the people that you were able to able to visit with in greater depth. I certainly have enjoyed this approach to presenting content, and I’ll bet I am not alone, good job. I have re-read the first several chapters of “A Million Tomorrows” since the Reunion and I must say that I wish that I had read it again before the Reunion! I think it would have help me think through our program content much better. What really amazes me is your ability to remember even some of the minor details of what you have written about. Our paths growing up were very similar. I also grew up in Five Points, went to East Clinton and then on to Lee. Our paths crossed many times I’m sure at both schools but what I remember is almost as if I had never been there compared to what you remember. It’s a gift! Thanks again for your help Tommy, my best to Sue, talk to you soon! The reunion was great! My husband (Greg Brown) who graduated from Huntsville High (1965) remarked how impressed he was with our reunion and how well everything was done! I just want to say a big "thank you" to all of you who put so much hard work into it! 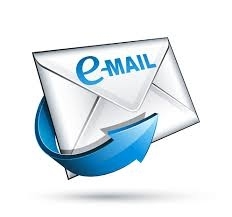 I would like to receive any news or newsletter from our classes. My e-mail address is brendaabrown@comcast.net.